One man is dead and two other adults are seriously hurt after a triple shooting outside a bar on Milwaukee's north side. Residents near 5th and Keefe said they thought people were celebrating the new year by firing gunshots into the air outside of The Fox Nite Club. They didn't realize people were shot until they saw a massive police presence around 3:00 a.m.
"It was like right after midnight when the gunshots started going off," said a woman named Tina. "I heard 20 to 30 (gunshots) maybe from the time it hit midnight 'til about 3 o'clock," she said. Cory Baldwin heard them from inside his house too. "I closed my windows up and I cut my music off and cut my lights off because I didn't want to get hit myself," he said. When officers arrived on scene they found a 37-year-old man suffering from a gunshot. Police say he died on scene. 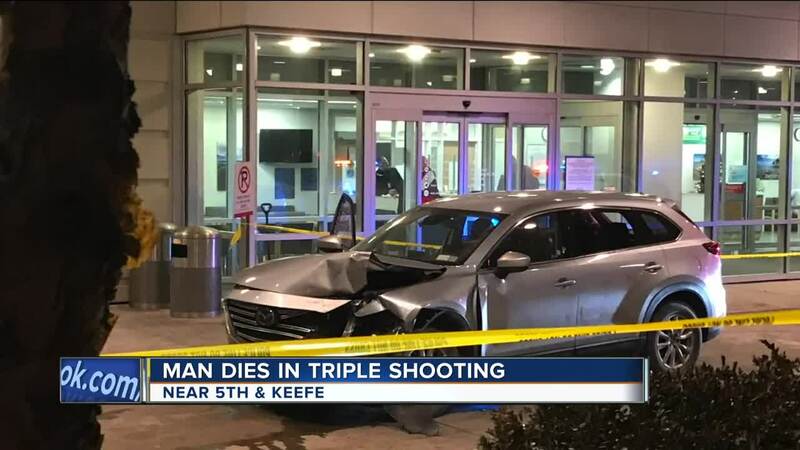 About 10 minutes later, a car arrived at the hospital with two other shooting victims; a man and woman who were at the same scene. This marks Wisconsin's first murder of the new year. Tina worries it's a bad sign of what's to come in 2019. "Tensions are high and there's things going on around here that a lot of people can't cope with so people turn to violence when they're struggling with everyday lifestyles," Tina said. Milwaukee Police are still investigating what led up to the shooting. The last we heard from Milwaukee Police is they're still looking for the suspect.